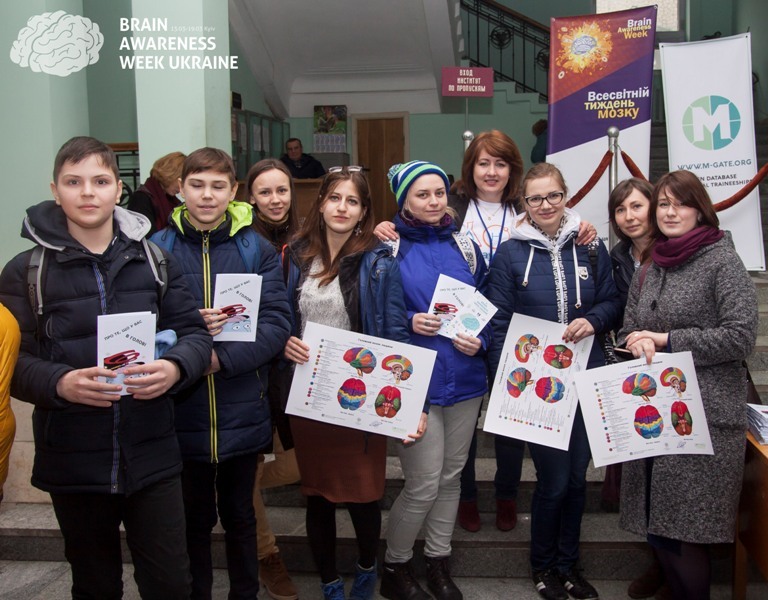 Started in 2010, now Brain Awareness Week Ukraine consists of many events co-organized by the Chapter members. Round Table "Brain in Health and Disease" targets at a broad audience of different interests and levels of education. Its main aim is spreading awareness about the structure and normal functioning of the nervous system, as well as about a wide array of pathological conditions and ways to prevent their development. 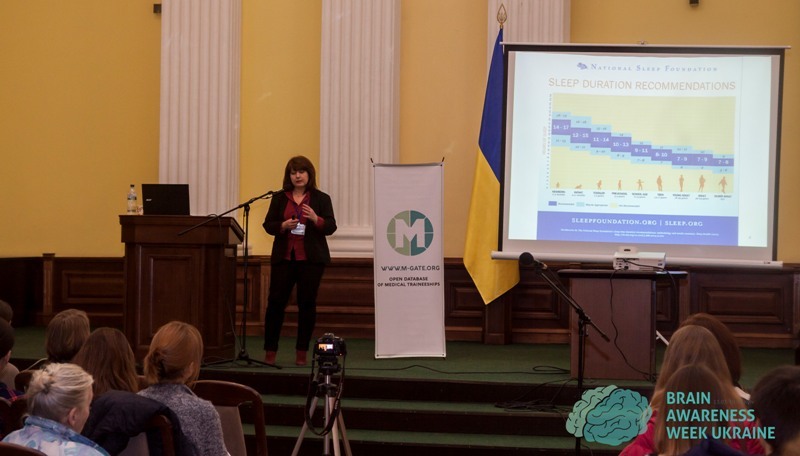 Leading Ukrainian scientists in physiology, molecular biology, biophysics prepare lectures in comprehensible format to wide auditory to share the insights on brain activity. The goal of these lectures is to expand the horizons of knowledge and to have a discussion in a scientific format with the lay public. Brain workshop for schoolchildren aimed to bring to young students basic knowledge about neuron structure, main organization and functioning of neuronal networks to sense of touching, hearing, eyesight, and keeping them healthy. Kids participate in practical seminars, where they may measure their tactile and thermal sensitivity; look inside the different nerve tissue samples using microscopes. A lot of schematic painted illustrations and video animations are presented to highlight important information about human habits, noxious and harmful to brain health. 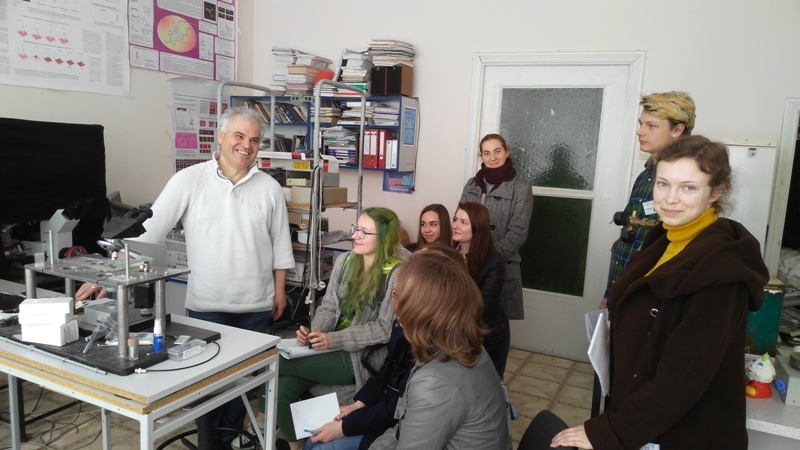 Workshop “Biophysical methods in neuroscience” for universities students is annually held in Bogomoletz Institute of Physiology (Kyiv, Ukraine) on spring. The main aim of this event is to promote neuroscience for undergraduate students with their future recruiting to Master and PhD neuroscience programs at Bogomoletz Institute of Physiology and Kyiv Academic University. During the workshop, many lectures and practical lessons deliver to students by scientists from Bogomoletz Institute of Physiology, Institute of Otolaryngology, National Taras Shevchenko University of Kyiv and Bogomolets National Medical University. Kiev Chapter is the co-founder of Ukrainian competition in neuroscience among schoolchildren, which is a regional stage of the International Brain Bee Competition. National coordinators of the contest are Dr. Andrii Cherninskyi and Prof. Nana Voitenko (Bogomoletz Institute of Physiology). The preliminary test is organized through the Internet. Best students are invited to Bogomoletz Institute of Physiology where the finalists compete in neuroanatomy, neurohistology, and knowledge of different facts on the brain structure and functions in norm and diseases. The winner represents Ukraine at the International Brain Bee competition. Congress of Ukrainian Society for Neuroscience (triennial). Kiev Chapter take part in the organization of USN Congress that held every three years. Chapter members organize Chapter Luncheon during the Congress to advocate the Chapter and SfN membership.